Outrigger Zone has been designing and building Hawaiian outrigger canoes for over 20 years. We build the Gemini, Tempest, Kahe Kai, Ares, Antares, Ehukai, Storm, and Hurricane. Our latest products are OC6 canoes, the Vortex and Malolo and we are excited about the potential they bring to grow the sport and improve performance. 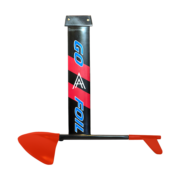 We are passionate about bringing outrigger canoes to the world that are lighter, stronger, faster and accessible to paddlers worldwide. 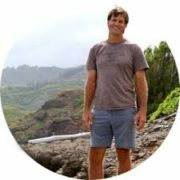 Finding his passion in paddling, Mike Giblin began creating canoe designs in 1990 from a shed in the middle of the sugarcane field to what is now a state of the art production. 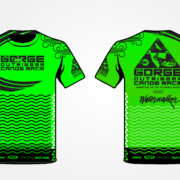 Based in Maui, Hawaii the mecca of ocean sports and home to a strong and inspiring paddling community. Mike’s wife Wendy, is the engine that keeps this ‘ozone canoe’ moving, her commitment to customers and our dealer network is a big part of what makes it work. Brian Dalbey, Mike’s brother-in-law, is the Production Manager and runs the factory. With many years of ocean sports and fabrication experience, Brian has been able to construct the strongest and lightest products on the market. Our factory is an industry example of what can be done by a small, private and mission driven company. Julie Dalbey, Brian’s wife and Wendy’s sister, manages the store and accounting, working with production and customers. 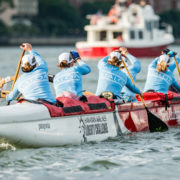 It’s a family vibe and team effort and we all love to do this work, to be able to spread Outrigger Canoe paddling from Hawaii to every corner of the globe is a privilege and our purpose as a business. Most recently Mike Giblin has been working with his brother-in-law Alex Aguera to create the GoFoil, a ground breaking new product. The GoFoil is an example of innovation and forward thinking that has exemplified Mike Giblin and his work. 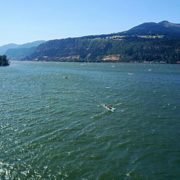 Canoe paddlers are asking “Where is the foil for OC1?” — Well, Mike has been exploring this option for years and is what led to the breakthrough that ultimately became GoFoil. He has not given up on the idea and continues to test and develop. Stay tuned. Ozone canoes include brands Kai Wa’a and Puakea Designs, who’s canoe designs are both visually stunning and deliver a strong performance. Working with Kai Bartlett and Johnny Puakea has been an honor, both legends in the sport and keenly tuned into the growth and development of canoe paddling. Our dealer network spans the globe, yet we know each dealer personally and work closely together allowing us to provide personal service together with quality products at scale. Born from the love of the ocean, we hope to share the experience with all those who would venture. 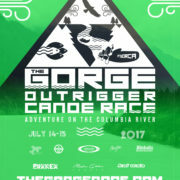 Ozone Provided Event Registration Support, Organization, Printing and Jerseys to support The Gorge Outrigger Canoe Race. Mahalo Nui Outrigger Zone!